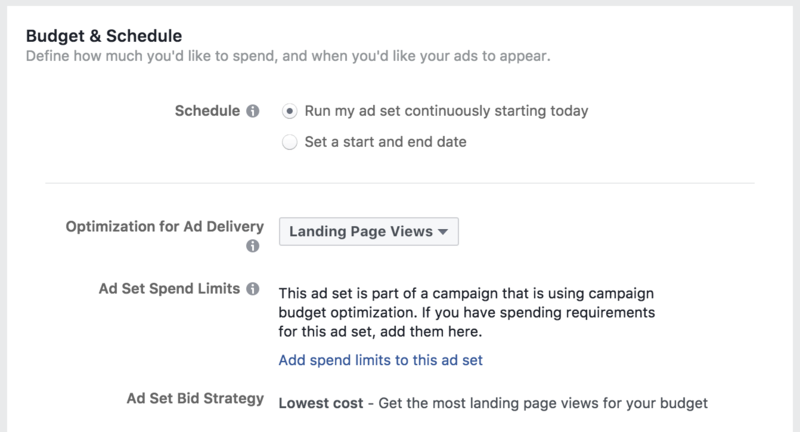 As is the case with most new ad features, Facebook campaign budget optimization rolled out slowly. At the time of the announcement, Facebook said it would be rolled out “in the coming months.” I do have it now in some of my accounts (though not all). You may, too. It’s time to explain what campaign budget optimization is, how it helps, and how to get started. What is Campaign Budget Optimization? 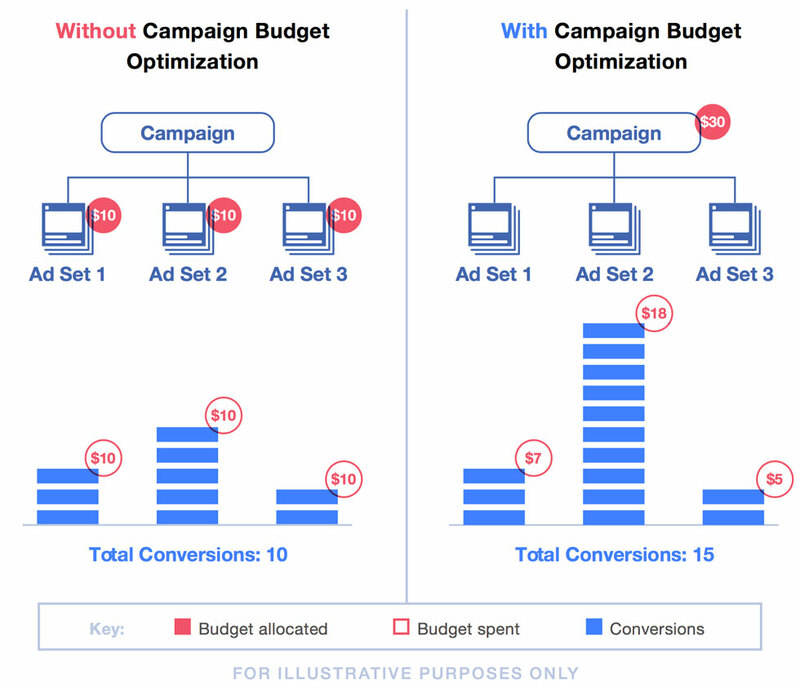 Using campaign budget optimization, Facebook advertisers set a budget at the campaign level that will then be optimized to distribute across ad sets to favor the highest performers. Normally, you set daily or lifetime budgets at the ad set level. In the example above, Facebook will attempt to spend $20 on a daily basis, regardless of performance. The advertiser determines that distribution, regardless of performance. When using campaign budget optimization, you would first set a $30 daily budget for the campaign. Facebook will then distribute that budget to provide optimal results — based on the performance of each ad set. In this example, an advertiser might spend $30 to get 10 conversions without campaign budget optimization. But with it, Facebook can allocate more of the budget to the second, or highest performing, ad set. In that case, the campaign results in 15 conversions. Note that this isn’t split testing. Facebook doesn’t simply find a winner and allocate all of your budget to one ad set. They simply distribute more or less budget based on how an ad set is performing compared to the others. Clearly, this is a feature that is most beneficial when running campaigns with multiple ad sets. It wouldn’t make sense for a single ad set. This process is similar to how Facebook distributes budget between multiple ads within a single ad set. Only this time, we’re dealing with ad sets in a campaign. This feature is eligible for all objectives. After activating campaign budget optimization, the advertiser will have an option to establish a minimum or maximum daily spend per ad set. Finally, know that campaigns using budget optimization won’t be eligible for ad scheduling (day parting) or accelerated delivery. Let’s ignore the Campaign Bid Strategy for now. That’s another topic. It is controlled at the ad set level. This simply allows you the control to continue using that feature when utilizing campaign budget optimization. As indicated in the tooltip, a lifetime budget means you’ll never exceed that amount during the lifetime of your campaign. If you set a daily campaign budget, you may spend more or less than that amount on a daily basis, but it will average out to that daily budget. However, maybe you want a little more control over how Facebook distributes your budget. If so, you can set a daily/lifetime minimum or maximum. If you assign a minimum, Facebook will do what they can to reach it. However, keep in mind that many factors can prevent that from happening. Facebook will honor the maximum, however, preventing ad set spend from exceeding an assigned limit on a daily or lifetime basis. Facebook doesn’t recommend using the maximum since it may prevent you from getting the best possible results. But a minimum could be helpful if you have budget requirements for a particular audience. Should You Use Campaign Budget Optimization? Like any feature, I’m not going to give you a universal answer to this. You should try it to see whether it works for you. Think about your campaigns. Do you create multiple ad sets? Do you have flexibility in how you distribute budget across those ad sets? This may be a good option for you. I’m personally going to try it out in two very specific ways. Every week or so, I write a new blog post. And when I do, I create a campaign promoting that blog post. I’ll assign a $100 daily budget and allow Facebook to optimize to determine how that budget should be distributed. I have a monthly webinar that I promote continuously with lead ads, consisting of multiple ad sets for each audience. I’ll test these out. In both cases, I won’t be setting a minimum or maximum spend at the ad set level. Hopefully, Facebook optimizes well, and this feature is beneficial. Have you started experimenting with campaign budget optimization yet? What results are you seeing? The post Facebook Campaign Budget Optimization: New Feature appeared first on Jon Loomer Digital.